I'm often asked during an engagement session if the couples could or should bring there dog and it's always yes. But this time the bride and groom said their bringing their dog and I was beyond excited for their wedding. They got married at Terrain which is in Glen Mills Pennsylvania. It's just south of Philadelphia for those wondering. 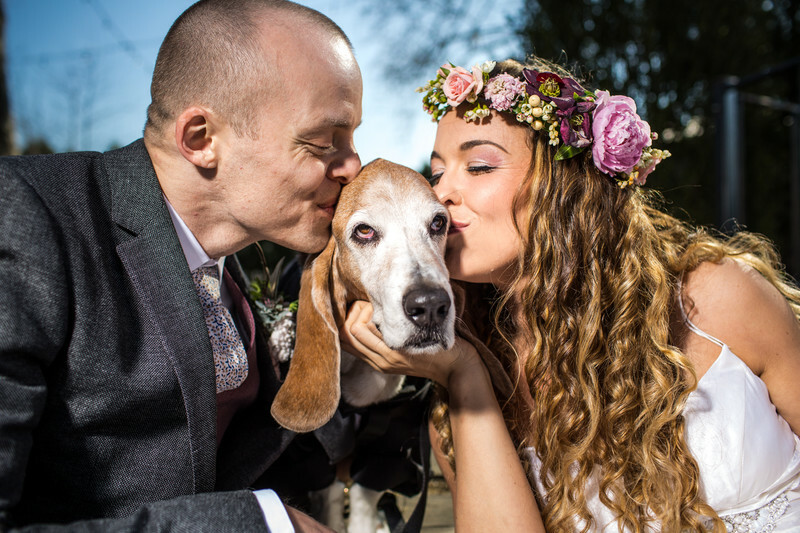 When Misha and Sidra arrived for their getting ready they arrived together and with their basset hound in tow! I knew it was going to be a great day because of how laid back they were and they seemed ready to have a great time. If you're not familiar with Terrain it's a restored barn that offers inside and outside wedding ceremonies. There are a ton of locations to shoot beautiful wedding photos even though it's technically smaller grounds. The land itself is actually a working Garden Center which makes life exciting when you're strolling through the grounds taking photos. Location: 914 Baltimore Pike Glen Mills, PA 19342.